Spare-time Software Developer on free- and open-source software projects. SSL/TLS backend using the Windows SChannel API. Experimental Windows support for the test suite. Support for IPv6 connections through a SOCKSv5 proxy. Cryptographic backend using the Windows Cryptography API: Next Generation. 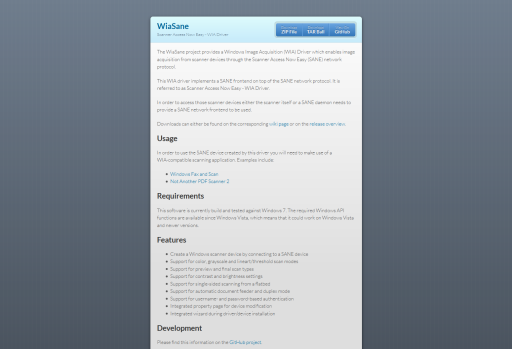 The WiaSane project provides a Windows Image Acquisition (WIA) Driver which enables image acquisition from scanner devices through the Scanner Access Now Easy (SANE) network protocol. This WIA driver implements a SANE frontend on top of the SANE network protocol. It is referred to as Scanner Access Now Easy - WIA Driver. In order to access those scanner devices either the scanner itself or a SANE daemon needs to provide a SANE network frontend to be used. 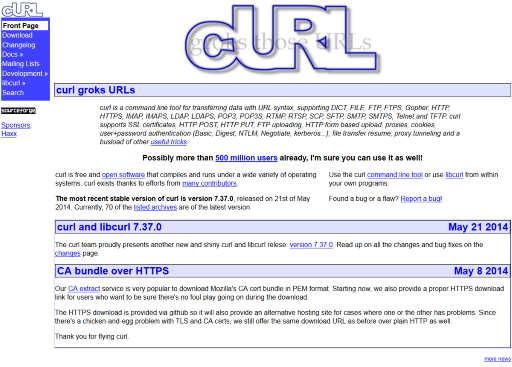 Downloads can either be found on the corresponding wiki page or on the release overview. 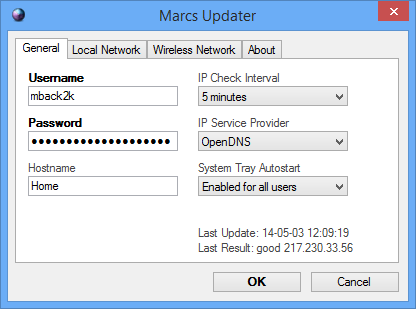 Simple dynamic DNS updater client with support for DynDNS, OpenDNS or DNS-O-Matic that is built for Windows and runs under Windows XP SP3 or newer. Running as background Windows service. System tray notifications can be hidden. 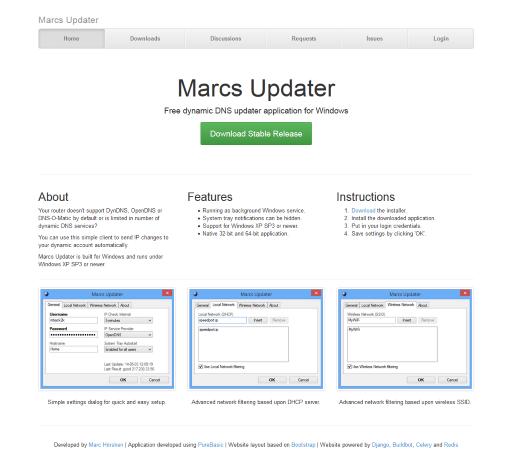 Support for Windows XP SP3 or newer. Native 32-bit and 64-bit application. Simple settings dialog for quick and easy setup. 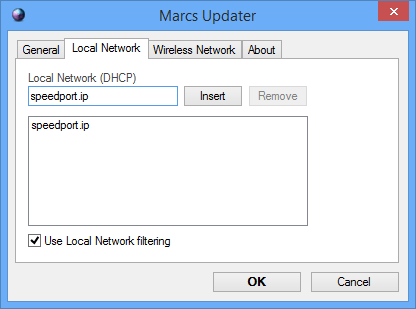 Advanced network filtering based upon DHCP server. Advanced network filtering based upon wireless SSID. A service that allows you to populate IP changes to DNS-O-Matic through another hostname, e.g. from DynDNS. Currently the service checks for IP changes every ~5 minutes per entry. 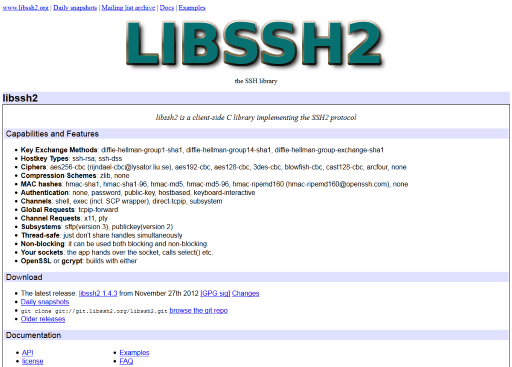 A service that allows you to synchronize hCalendar events with your Google Calendar. A service that allows students to view the traffic used at the DHBW Mannheim while using the BaWebAuth Android or Windows clients. The ideas and projects on this site are my own and don't necessarily represent the positions, strategies or opinions of my employer.